A bipartisan group of officials joined Gov. 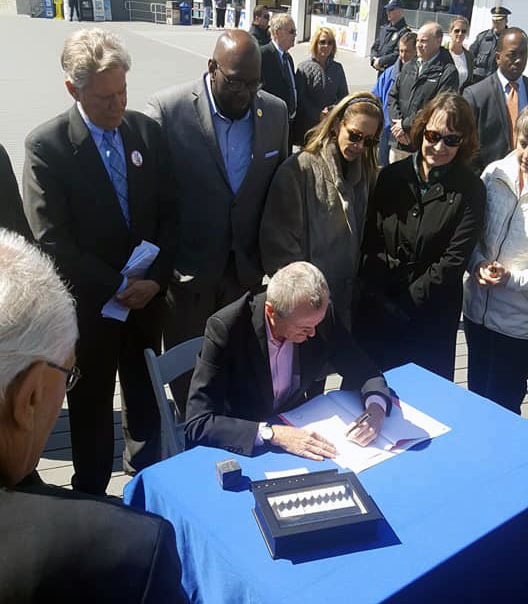 Phil Murphy on the boardwalk in Point Pleasant Beach Friday to witness the signing of a bill that places a barrier between New Jersey and offshore oil rigs. The federal government is proposing leasing swaths of the ocean floor off New Jersey for oil exploration and, potentially, drilling. 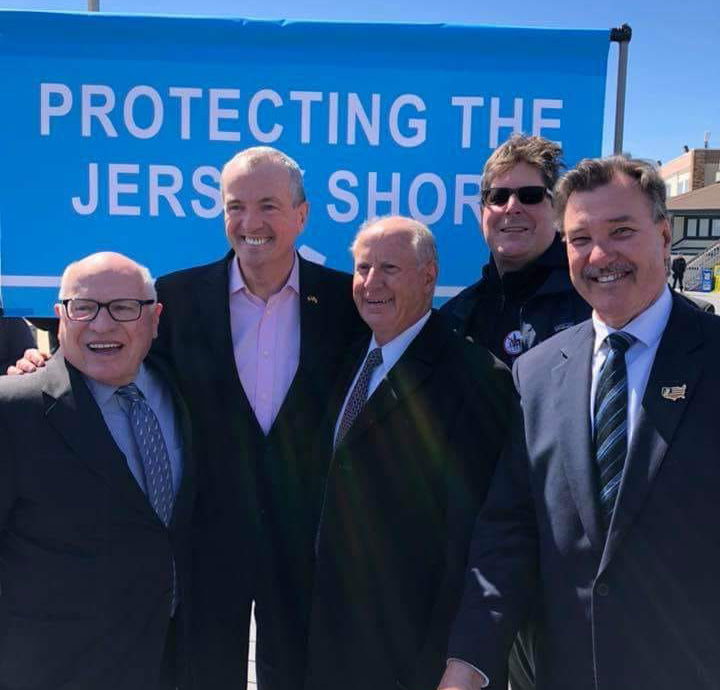 The bill Murphy signed into law Friday can’t stop the federal government from leasing offshore plots in waters under their own jurisdiction, but it can effectively render them useless. The measure bans drilling in New Jersey state waters – up to three nautical miles from shore – but also prohibits the Department of Environmental Protection from issuing any permits or approvals for the development of any facility or infrastructure related to offshore drilling within or outside of New Jersey waters. Simply stated, law bans pipelines or other equipment required to transport the oil from a rig to land anywhere in the state. The bill drew rare bipartisan support, including from Republican county leaders and local mayors who have come out against offshore drilling, citing environmental concerns and worries over the effect an spill could have on the local tourism industry. Brick officials were front-and-center at the signing, including council member Jim Fozman, Paul Mummolo and Art Halloran. The Murphy administration said the state’s tourism industry is worth $44 billion and could be decimated if a spill similar to that of the Deepwater Horizon incident happened close to home. The legislation received a 37-0 vote in the state Senate and a 72-1 vote in the Assembly.